Sometimes the biased reporting of the Pantagraph is clear. 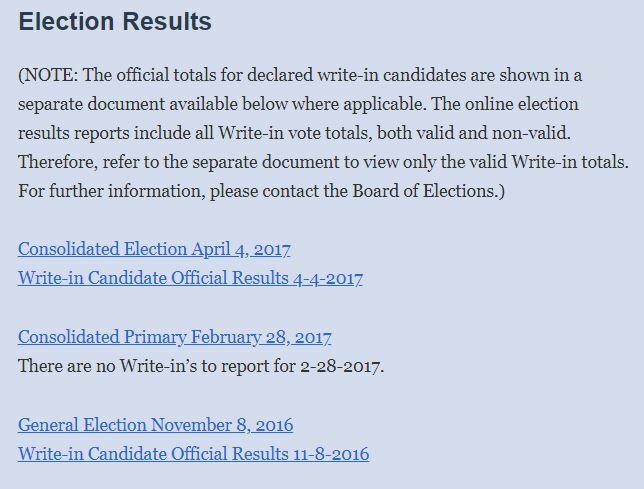 Keep that in mind when Democrats say the BEC website is sooooo much better than the County site. The election was March 21, 2018, maybe they haven’t had time to post them yet. In case BEC hurriedly posts them, this is what the page looks like as of 9:00 Friday morning. Yes this office should be abolished. It’s a waste of money having 2 offices to count votes. We know the elections aren’t non-partisan, the Pantagraph can quit pretending now. Watch for other bias if you still read the paper. It’s all over the pages. I didn’t start writing because they cover news fairly. Posted in BloNo, Bloomington, BLOOMINGTON CITY COUNCIL, elections, Liberal Media, Local, Pantagraph, Progressives, Renner, Taxes.Tagged BEC, Bloomington Election Commission, Democrat precinct committeeman, Donna Boelen, Georgene Chissell, Media bias, Pantagraph bias, Ward 2. Well, IF enough people QUIT that sad excuse of a rag-like we did after 50 years, WE won’t have to worry about their diatribes and BAD NEWS! I do miss the funnies though. I just get them online now.. If Jenn and Georgene get elected it will be a political death blow to the community. Radical ordinances, higher taxes, and bigger more intrusive government, which will hasten the economic decline of Bloomington. Barnett is a go-along-to-get-along, big government guy that champions growing Downtown and pals around with Mathy and the cronies in the Chamber. Be very afraid, Bloomington. Youre so salty. Your blood pressure must spike when typing these garbage letters. The bias is oh, so subtle. The Slantagraph (Pantagraph) is a total left-wing Rag and frankly I would not line my bird’s bird cage with it………………afraid it might make him an American hating Commie!!! Previous Post Pile up the Junk!